Even your Septic Tank Deserves Treating! Septic Tanks are often overlooked and rarely spoken about due to their, rather sensitive subject matter. However, they silently work at the bottom of your garden, digesting the food, fats and faeces that flush down daily. Without maintenance, the organic waste in septic tanks builds up and has to go back to where it came from! The first sign that you have a problem in your septic tank is an unpleasant smell coming from the toilets. 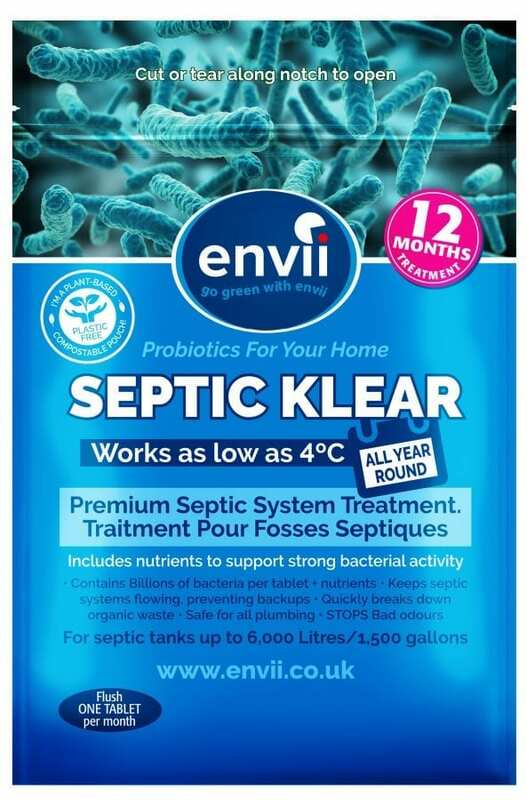 Septic Klear contains 75 billion bacteria per tablet, making it the strongest treatment on the market and capable of dealing with any size septic tank. The bacteria target the organic waste in your tank, break it down and keep the septic tank system healthy. 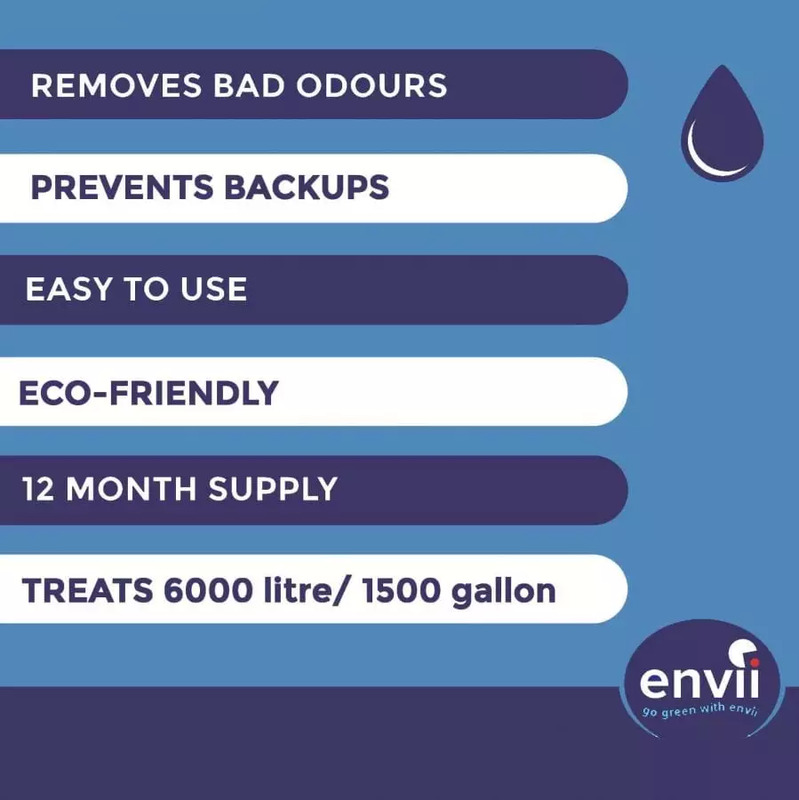 The inclusion of nutrients within the septic tank treatment tablets promotes bacterial activity within septic tanks to get rid of existing odours and prevent odours from occurring again. By maintaining your tank on a monthly basis, you eliminate the need to have your tank emptied which can cost over £100. You’ve just saved yourself at least £70, if not a lot more, so go treat yourself! To understand the septic tank treatment, you need to know how a tank works and why it should be treated. Learn more in this blog post about septic tanks. Smells coming from septic tanks can be very unpleasant odours but can also be a sign of unhealthy septic tanks. Smells occur when there is a build-up of organic waste inside and lack of bacteria to break it down. This waste layer gradually increases as more and more gets flushed down the toilet. It then begins to make its way back up the plumbing, produces a smell that only escapes either by coming out the toilet, or into the drain field. Fortunately, ridding this smell is a very simple process. 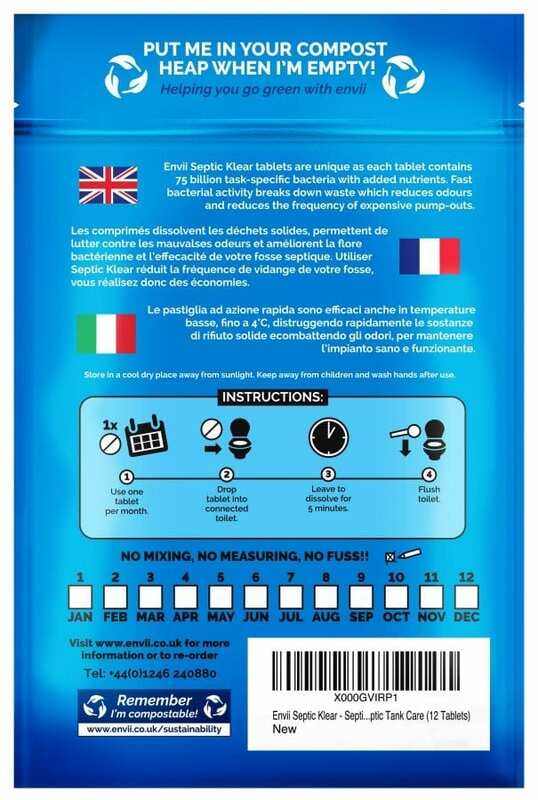 Flush one tablet down your toilet every month to introduce billions of beneficial bacteria in to your tank. After having a septic tank emptied, most of the bacteria has been removed. Add two tablets for the first month to boost bacterial activity. Will this work in any size tank? If it is a residential household yes, if it is anything other than that you will need two tablets per month. Will this eliminate the need to have the tank emptied? Yes, the product will help towards a healthy efficent tank that if kept healthy, will not need emptying. Is this safe for my septic tank? Yes, Septic Klear is a natural product that promotes a healthy, efficient tank.